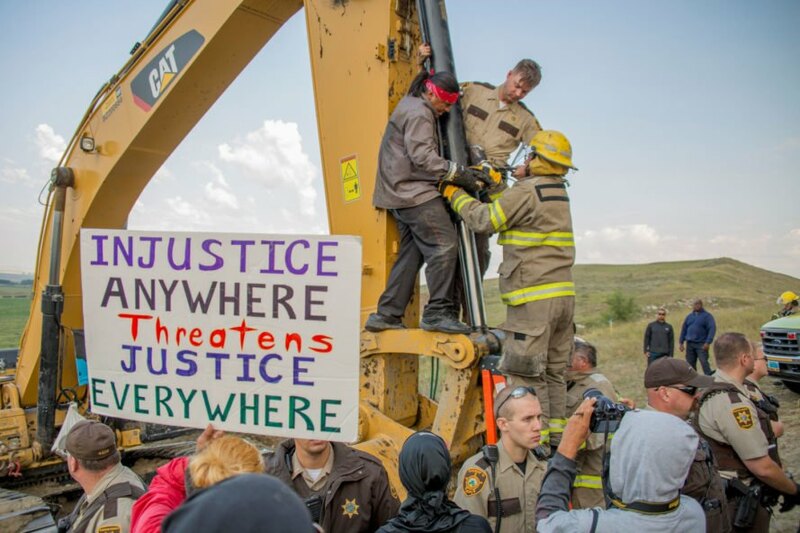 Dominating the headlines this past week has been coverage of the Dakota Access Pipeline and the ensuing protests by both Native American tribes and environmental groups who oppose the construction and operation of the project. 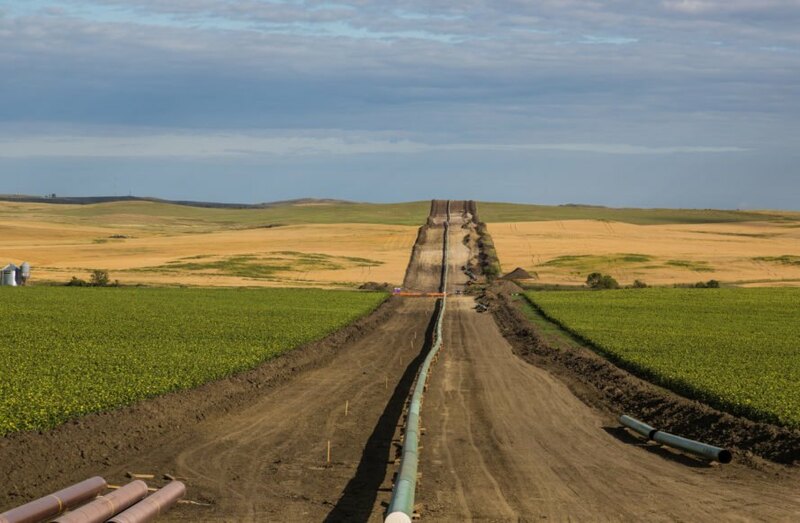 The pipeline developers promise economic benefits and a reduced dependence on foreign energy, while native tribes, in particular, the Standing Rock Sioux, lambast the project for the threat it poses to sacred land and their drinking water supply. To understand what is happening with this rapidly developing situation, here are five things to know about the project and the people involved. The Dakota Access Pipeline would bring crude oil across 1,168 miles and four states from the oil-rich Bakken Formation area of North Dakota all the way to Illinois. Also referred to as the Bakken Pipeline, the project would carry 470,000 barrels of crude oil to refineries and markets each day, according to CNN. The Bakken Formation is a unit of rock spanning parts of Montana and North Dakota, as well as the Canadian territories of Saskatchewan and Manitoba. Oil was first discovered underneath the formation in the 1950s and the US Geological Survey estimates an available 7.4 million barrels of oil lie in wait under just the US portion of land. Dakota Access, a subsidiary of Energy Transfer Crude Oil, has developed the project as a way to lessen US dependence on foreign oil. By creating an underground pipeline, they claim the resource can be transported in a more environmentally responsible way, as compared to having to rely on railways and transporting by truck. Economic arguments for the project include the creation of an estimated 8,000-12,000 construction jobs, as well as the amount of money that could be made on the oil. An estimated $156 million could be made in sales and income taxes by state and local governments. This would, arguably, offset the $3.7 million undertaking to bring the pipeline to life. Who is protesting its construction? The Standing Rock Sioux Tribe, a federally recognized tribe located on the Standing Rock Indian Reservation, have filed a federal complaint against the pipeline project. They claim the construction and operation of the pipeline would destroy sites of valuable cultural and historic significance, as well as threaten “the Tribe’s environmental and economic well-being.” There is also concern that digging underneath the Missouri River could impact the drinking water supply. What is happening at these protests? Many people are first hearing about the controversy after seeing footage of protests in North Dakota turning violent. Last weekend, demonstrators from the Standing Rock Sioux Tribe encountered private security officers from developer Energy Transfer Partners. 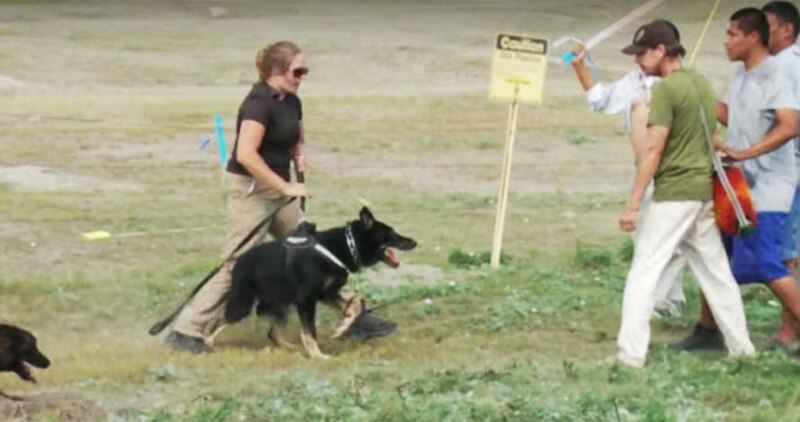 These officers threatened protestors with dogs, leading to multiple people – and dogs – on both sides becoming injured. The use of pepper spray on dozens of people was also documented. The Morton County Sheriff’s Office describes the scene as a “riot,” mentioning protestors breaking through a wire fence and entering the area where construction was taking place. Tim Menz, Sr., who helped the tribe start its Tribal Historic Preservation Office, stated the bulldozers had already destroyed an ancient burial site and members were denied the opportunity to search for disturbed human remains. While an oil pipeline would provide construction jobs and a supply of domestic fuel, the implications of building and operating such a project extend much further. The risk of oil spills and the effects on local drinking water and larger aquatic ecosystems is enough for some to oppose a pipeline anytime and anywhere. Furthering our dependence on oil as an energy source, whether obtained domestically or abroad, also runs counter to environmentalists’ mission to grow sustainable and renewable forms of energy production. Dominating the headlines this past week has been coverage of the Dakota Access Pipeline and the ensuing protests by both Native American tribes and environmental groups who oppose the construction and operation of the project. The pipeline developers promise economic benefits and a reduced dependence on foreign energy, while native tribes, in particular, the Standing Rock Sioux, lambast the project for its threats to sacred land and their drinking water supply. To understand what is happening with this rapidly developing situation, here are some things to know about the project and the people involved. Protesters of the project include the Standing Rock Sioux Tribe, who say federal agencies are ignoring their pleas to consider cultural and historical sites of significance. The Dakota Access Pipeline would bring crude oil across 1,168 miles and four states from the oil-rich Bakken Formation area of North Dakota all the way to Illinois. Also referred to as the Bakken Pipeline, the underground system would carry 470,000 barrels of crude oil to refineries and markets each day, according to CNN. Protesters are camped out at Sacred Stone Camp near Cannon Ball, North Dakota. 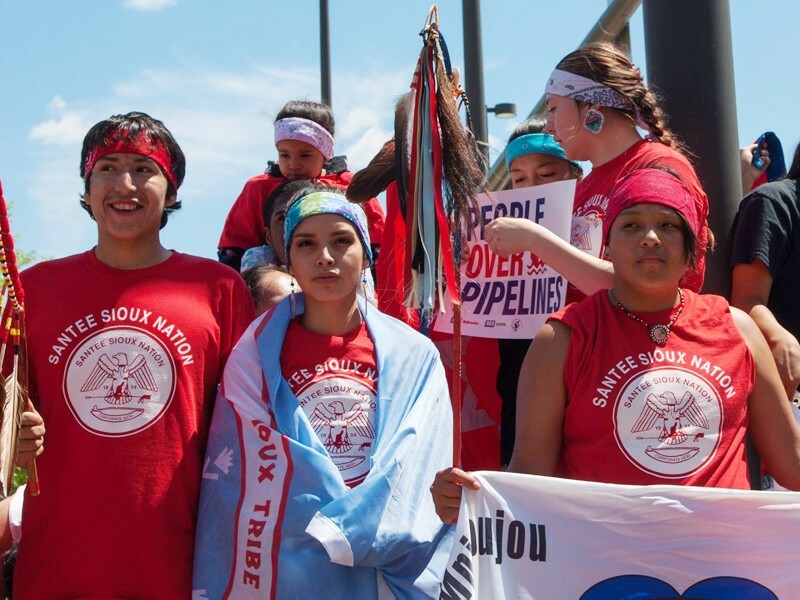 The Standing Rock Sioux Tribe, a federally recognized tribe located on the Standing Rock Indian Reservation, have filed a federal complaint against the pipeline project. They claim the construction and operation of the pipeline would destroy sites of valuable cultural and historic significance, as well as threaten “the Tribe's environmental and economic well-being.” There is also concern that digging underneath the Missouri River could impact the drinking water supply. 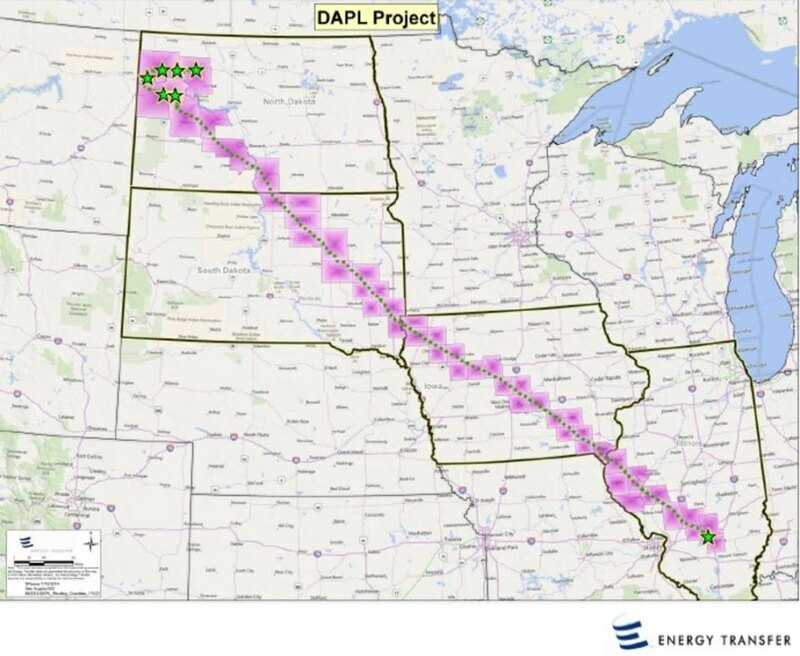 The Dakota Access Pipeline would span four states, from North Dakota to Illinois. The pipeline would carry 470,000 barrels of crude oil to refineries and markets each day.